Germaine Tailleferre was a noted French composer who was the only female member of the famed musical group ‘Les Six’. Check out this biography to know about her childhood, achievements, family life and little known fun facts about her. 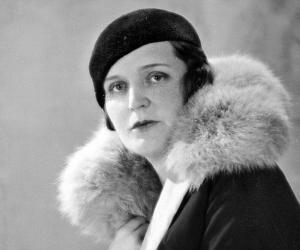 Germaine Tailleferre was a noted French composer who was the only female member of the famed musical group ‘Les Six’. She was born in the late 19th century into an orthodox Norman farming family, living on the outskirts of Paris. Although her talent was recognized when she was just a toddler, her music lesson was hampered by her authoritarian father, who likened professional musicians to prostitutes. Nonetheless, the determined young musician was able to complete her education at the Paris Conservatoire with the support of her mother. During her days at the Conservatoire, she received many prizes, in addition to constant encouragement from her teachers. She also became friendly with five young composers there, with whom she went on to form the famous ‘Les Six’ under the mentorship of the legendary composer and pianist, Satie. However, her natural modesty and two bad marriages hindered her career to a great extent. Her contribution to the world of music was also undervalued because of the patriarchal mindset of that time. Many of her works were lost due to the gross underestimation of her music, but they are now being revived by French and British recording companies, orchestral programmers and broadcasters. As her compositions are beginning to be restored, Tailleferre is also rightfully starting to get her rightful place in the music history. Germaine Tailleferre was born as Germaine Marcelle Taillefesse on April 19, 1892 at Saint Maur Des Fossés, on the outskirts of Paris. His father Arthur Taillefesse was a farmer, while his mother Marie-Desiré Taillefesse was an amateur pianist. Tailleferre, who had two elder sisters and two elder brothers, was the youngest among her siblings. 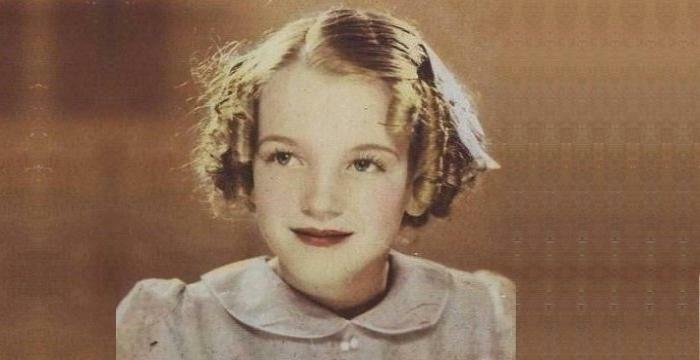 She started playing the piano at the age of two and was soon recognized as a musical prodigy. When her mother taught music to her older sister, little Tailleferre would carefully listen to the tunes and then play them on her toy piano. When she got a little older, she began to take piano lessons from her mother. By the age of five, she had developed enough musical sense to appreciate Mozart. By eight, she started composing short pieces for piano. 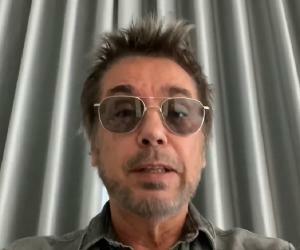 But when she tried to enroll in the Paris Conservatory, her father objected vehemently, going as far as comparing a professional musician to a streetwalker. While Tailleferre’s father objected to her musical aspirations, her mother fully backed her. She secretly arranged to have her perform before Mme. Sautereau-Meyer, one of the teachers at the Conservatoire. Sautereau-Meyer was impressed by the young musician’s performance and accepted her as a student. In 1904, Tailleferre entered the Paris Conservatory to study piano and solfège with Mme. Sautereau-Meyer. She went on to win the first prize in the solfège category. At home, she practiced whenever her father was away. Her father found out about her music lessons in 1906 and enrolled her in a convent school. However, she continued her association with music there, writing ‘Impromptu for piano’ in 1909, ‘Premières prouesses for piano four hands’ and ‘Morceau de lecture for harp’ in 1910. Germaine Tailleferre returned to the Paris Conservatory in 1912 and started studying accompaniment, harmony and counterpoint. During this period, she received instructions from great musicians like Maurice Ravel, Claude Debussy and Charles-Marie Widor. Very soon, she became a favorite of Ravel. When her father was unable to prevent her from studying music, he refused to finance her education. Undeterred, Tailleferre began to teach music, concurrently continuing to excel in her studies, winning the first prize in counterpoint and harmony in 1913; and fugue in 1915. She wrote ‘Berceuse for violin/piano’ and ‘Romance for piano’ in 1913. Around this time, she also became friends with Darius Milhaud, Georges Auric and Arthur Honegger. Later, they formed the ‘Les Six’ when Louis Durey and Francis Poulenc also joined them. With the advent of the First World War in 1914, many students and teachers left the Conservatoire, which hampered Germaine Tailleferre’s education to some extent. She tried to fill up the gaps in her learning by associating herself with many young musicians and attending concerts and other events. Between 1913 and 1917, Tailleferre composed 18 short works in the ‘Petit livre de harpe de Madame Tardieu’ for the Conservatory’s assistant professor of harp, Caroline Luigini. In 1917, Tailleferre’s father passed away, setting her free from constant condemnation. It also meant that she now needed to support her mother; and therefore, she required to concentrate on teaching music. Around this time, she changed her surname to Tailleferre. 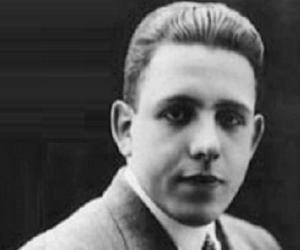 When many theatres and concert halls began to close down in 1917, Tailleferre and her friends began to meet at Milhaud’s small apartment, which was slowly turning into a gathering place for young musicians, composers and poets. As Tailleferre got to know the artists from different fields more closely, her creative horizon began to expand. She went on a holiday to Spain in 1917 and returned from there with the intention of studying art. But since she needed to support her mother, nothing came out of it, and she continued teaching. The most significant event of the year was her meeting with composer Erik Satie. On May 18, 1917, ‘Parade’ was performed in Paris by Sergei Diaghilev's Ballets Russes, making its music composer Erik Satie very popular among the younger generation of musicians. On one occasion, Satie heard Tailleferre reading through one of her compositions for two pianos and immediately recognized her genius. Under Satie’s mentorship, Tailleferre and her friends began to present concerts at art studios and small concert halls. During one of these concerts in 1918, she was able to premier her composition ‘String Quartet’. When the First World War came to an end in November 1918, a change was witnessed in all spheres of life. There was a call for a dynamic shift in literature, art and music so that they could become the voice of the new France. Germaine Tailleferre and her five friends; Milhaud, Auric, Honegger, Durey and Poulenc, started a new kind musical movement, which involved them holding concerts in studios and cafes. One of the concerts organized by the six musicians was held in January 1920 on the rue Huyghens. During the concert, all the members played their own compositions. 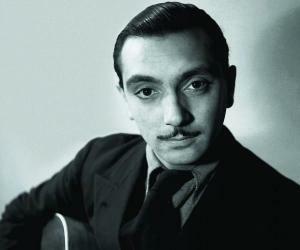 Music critic Henri Collet, who attended it, wrote an article, in which he called the group the new voice of French music. He labelled them as ‘Les nouveaux jeunes’. In the same year, ‘Les Six’ was formed under Satie’s mentorship. In 1920, ‘L'Album des Six’, which contained six piano pieces written individually by the members of ‘Les Six’, was published by Eugène Demets. ‘Pastorale, Enjoué’, written in September 1919, was Tailleferre’s contribution to this album. The label of ‘Les nouveaux jeunes’ immensely helped Germaine Tailleferre’s career. Very soon, a number of her compositions, including ‘String Quartet’, 'Image for fl/cl/clt/pno/str 4tr', ‘Image for piano 4 hands' and ‘Jeu de plein air’ became well known. Many began to refer to her as ‘Princess’. Despite her new found fame, she remained as shy and modest as before. She continued to write musical pieces, such as 'Morceau symphonique for piano/orchestra', 'Ballade for piano and orchestra', 'Très vite for piano', 'Hommage à Debussy for piano' and '1920 Fandango for 2 pianos’ in 1920. Tailleferre may have had found some recognition for her music, but she continued to be dogged by financial problems. She briefly had to become a milliner to generate extra income. Yet, she kept writing, producing pieces like ‘Les mariés de la tour Eiffel’ and ‘Première Sonate for violin and piano’ in 1921. In 1923, she participated in the Prix de Rome competition for its prize money. In the same year, she wrote well-known pieces like ‘Le marchand d'oiseaux Ballet for orchestra’, ‘Ballade for piano and orchestra’ and ‘Concerto no. 1 for piano and orchestra’. By 1924, the popularity of Les Six had reached its peak, and its members began to work individually. Sometime in early 1925, Tailleferre was invited to New York by the famous conductor Leopold Stokowski, to perform her sonata for violin and piano at Aeolian Hall on February 14. While in the USA, she married famous caricaturist Ralph Barton. Although the marriage was short-lived, it helped her get acquainted with many talented and famous personalities like Charlie Chaplin, Sinclair Lewis, Ethel Barrymore, Somerset Maugham, Loretta Young and Paul Morand. In 1927, Tailleferre returned to France with her husband and continued to compose music in spite of intense marital trouble. 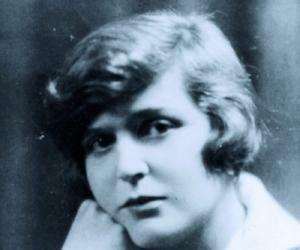 Among her significant works in the late 1920s were 'Sous le rempart d'Athènes (1927), 'Nocturno-Fox for two Baritone Voices and Ensemble' (1928) and 'La nouvelle Cythère for Two Pianos or Orchestra’ (1929). She wrote ‘Zoulaïna opéra comique' in 1931, ‘Ouverture for Orchestra’ in 1932, ‘C’oncerto for Two Pianos, Chorus, Saxophones, and Orchestra’ in 1934, ‘ ‘Violin Concerto’ in 1937 and ‘Cantate de Narcisse’ in 1938. But her turbulent private life hampered her productivity to a large extant. The Second World War began in 1939, and France was captured by Germany in 1940. In 1942, Tailleferre was forced to flee, leaving all her works at home in Grasse, except the recently completed ‘Trois études for Piano and Orchestra’. Travelling through Spain and Portugal, she finally reached the USA, where she lived in Philadelphia until the end of the war. During this period, she wrote only two pieces; 'Pastorale for Flute (or Violin) and Piano' (1942) and 'Deux danses du marin de Bolivar for Piano' (1943). On her return to France in 1946, she found her home in Grasse plundered by occupying German forces. Although she was busy in rebuilding her house, she also started writing music, producing 'Intermezzo pour deux pianos', 'Intermezzo for Flute and Piano' and 'Coïncidences' in 1946. In 1952, Tailleferre was united with her old friends when an exhibition, featuring manuscripts, stage sets, letters, and mementos of ‘Les Six’, was organized by the ‘International Council of Music’. The group’s 35th anniversary, celebrated with a gala concert on November 3, 1954, was another memorable event for her. The 1960s was another very productive decade for Tailleferre. During this period, apart from writing ballets, operas, orchestral and chamber music, she also began to teach music and write scores for films and television series, mainly to fund her granddaughter’s upbringing. The celebrated musician was never good at keeping a track of her royalties, leading to a personal financial mess. In 1976, she had to serve as an accompanist for a children's music and movement class at a private school in Paris for financial reason. Tailleferre continued to work until her death and wrote numerous ballets, operas, orchestral and chamber music during her lifetime. When she became inflicted with arthritis in her later years, she began to compose smaller pieces. Her last significant work was ‘Concerto de la fidelité pour coloratura soprano et orchestra’, written in 1981. It was premièred at the Paris Opera in 1982, just a year before her death. ‘The Cantate du Narcisse for baritone Martin, soprano, choir of women with four voices and orchestra’ is generally considered to be Germaine Tailleferre’s masterpiece. She finished the piece in 1937, a year after it was commissioned to her by the ministry of arts and culture. The Cantata was first premiered on 19 January 1942 in the salon of Marguerite Fournier. Later, during her exile in the USA, she revised the work, and it was finally premiered in January 1944 by the Orchester de la Société des concerts du Conservatoire under the baton of Alfred Cortot. In 1973, Germaine Tailleferre was awarded the Grand Prix Musical by the Académie des Beaux Arts. In 1978, she was awarded a second Grand Prix Musical by the City of Paris. Germaine Tailleferre married American caricaturist Ralph Barton in 1926 while she was on a visit to the USA. But the union was not a happy one, as Ralph did not appreciate her talent and was jealous of her fame. He instead wanted her to stay at home and cook. Tailleferre divorced Barton in April 1931, and in the same year, she married lawyer Jean Lageat. The couple soon welcomed a daughter named Françoise Lageat, but this marriage also proved to be quite unhappy. Eventually, they divorced in 1955. She spent the last years of her life raising her granddaughter, Elvire. In 1977, her friends formed the ‘Association Germaine Tailleferre’, which was meant to look after the musical genius. She died on November 7, 1983 in Paris, at the age of 91, and was buried in Quincy-Voisins, Seine-et-Marne.